Is sending money to your home country by western union is very painful? generally, you have to go to western union branch and there are long queues. people are standing there from 1 or 2 hours and you are also going to do the same. is it true? yes. Because I am also one of them who experience this pain. 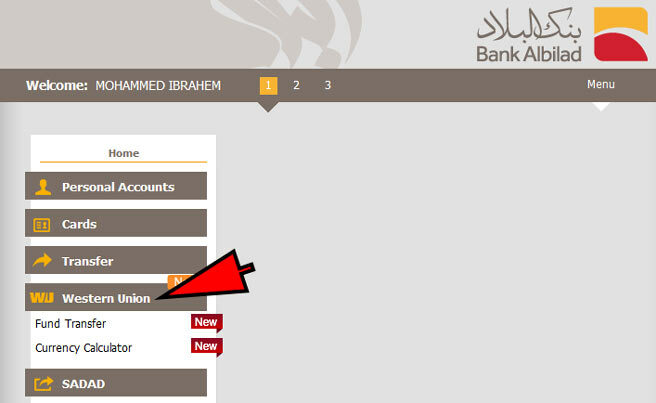 Now you don't need to stand in the queue if you Bank Albilad account holder. Albilad launched western union online money transfer service through Albilad bank to give easy and convenient way to send money to their home country. It's very simple to send money now, this service is directly connected to bank albilad customers through their accounts. no any time limit, send your money anytime 24 hours and seven days of the week. All the account holders of Bank albilad can get this benefit through internet banking facility. They are planning to extend their services, soon account holders can send money directly from their mobile and also from Albilad ATMs. approximately 950 Albilad ATMS are available in Saudi. 1. Visit the official website of bank Albilad: Open bank Albilad website by default it will open in Arabic Change their language in English. 2. Click on login button: If you are registered user click on login button. 3. Enter username and password: Enter your username and password. and click on login button. If you are not registered click on new customer options below the login form. 4. Click on the western union in the menu: Click on western union options in menu then click on fund transfer. 5. 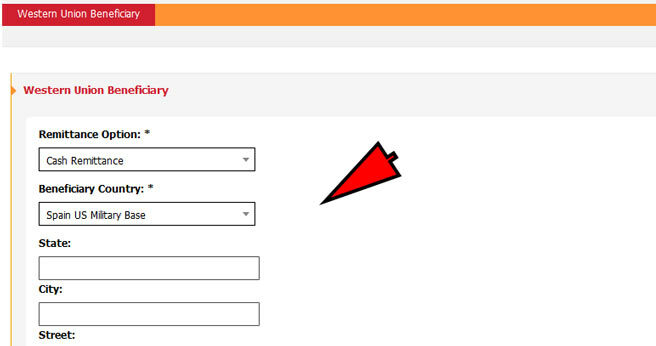 Add beneficiary: Click on beneficiary button and Add beneficiary. 6. Fill the beneficiary details: Fill the beneficiary details. Check twice beneficiary spelling name. If spelling name will mismatch it will create inconvenience to withdraw money in your home country. 7. Fill the payment details: Fill the amount how much you want to send. Below two options are their source currency and beneficiary currency, Select according to your convenience. Now send the money to loved one. 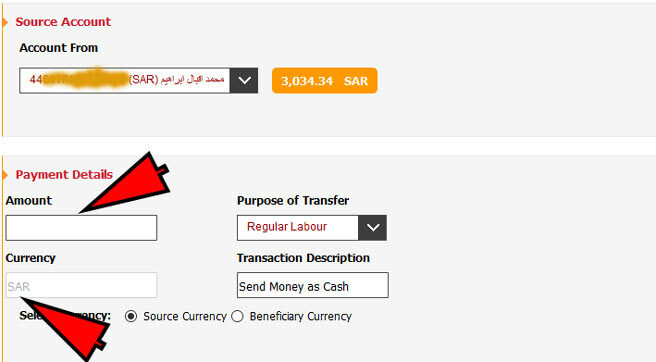 This is a simple process to send Western Union Money Through Albilad Bank from Saudi Arabia to your home country. Check twice beneficiary name and spelling. Don't share your secret pin to someone you don't trust. If you don't have Albilad account don't give money to some else for sending.